CLOSEOUTS. 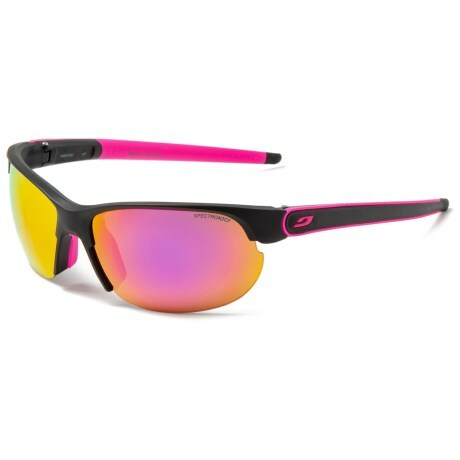 Sporty, semi-rimless and very comfortable, Julboand#39;s Breeze Spectron sunglasses provide full-spectrum UV protection and are polarized to reduce glare off shiny surfaces. Available Colors: MATTE BLACK/PINK.